The Career Development Center offers services to alumni who are searching for a job, making a career transition, fine tuning their networking and LinkedIn profile, and need to write or update their resume or CV. For alumni who have graduated less than one year ago, our services are free of charge. For all other alumni, there is a charge of $35 per appointment. 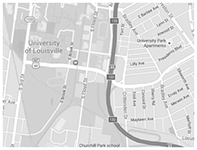 To schedule an appointment, contact the UofL Career Development Center at (502) 852-6701. Payment for alumni appointments may be made in person with a check or money order, or online with a credit card.